ocean space habitat is a patented, portable inflatable ‘tent’ that can offer a dry, sheltered space within the undersea environment. 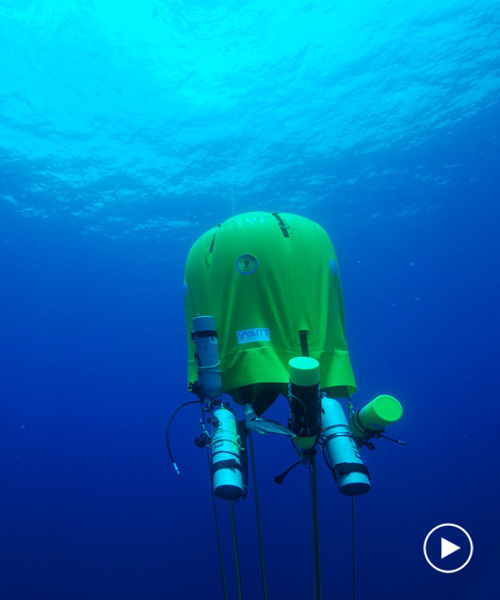 designed by explorer michael lombardi’s not for profit organization ocean opportunity inc., and new york university professor winslow burleson, the dwelling provides a chance to stay longer underwater and explore depths where conventional scuba equipment does not suffice. video and images courtesy of ocean opportunity inc.
the portable underwater habitat offers a dry space where divers can find shelter for about four to six hours, and use this time to conduct science and other work tasks, rest, and spend their lengthy decompression period within the protected space. 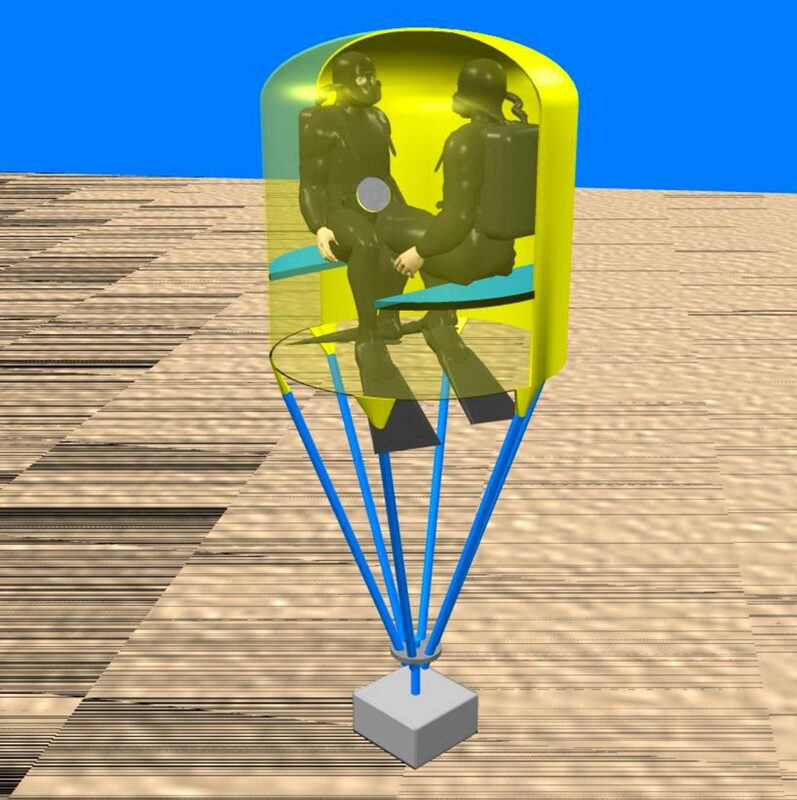 the structure can be inflated in a determined envelope design and anchored at the desirable depth, while it is made from fabric embedded vinyl with nylon/polyester support, and strapping and stainless steel hardware. optional benches, hammocks, stowage areas can also be added within its interior.